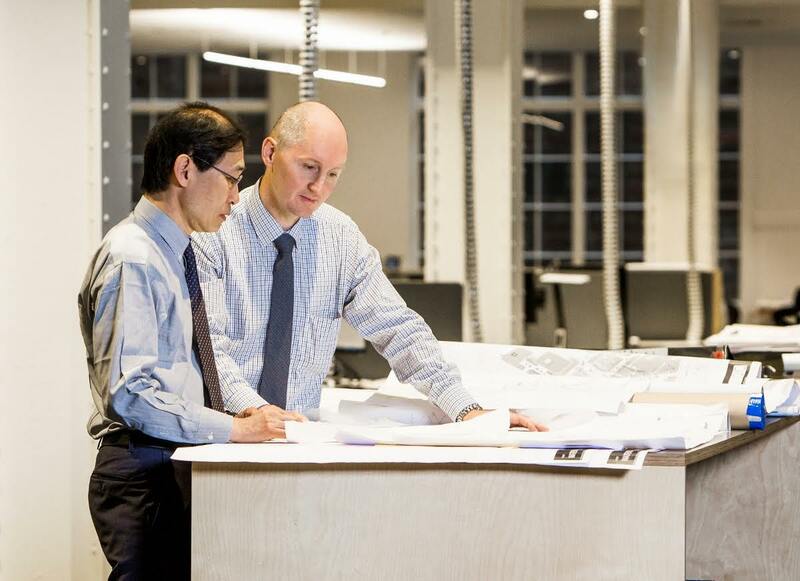 Leading Japanese architectural and urban design firm Nikken Sekkei, has entered into a formal strategic business alliance with one of Australia’s largest and most successful architectural practices, The Buchan Group. “The alliance brings together specialist skills, values and culture from both companies to provide a homogenous approach to design across a range of market sectors,” commented President and CEO of Nikken Sekkei, Tadao Kamei. Both Nikken and Buchan have been involved in the design of many successful developments across the Middle East and India, including retail, hospitality/resort, mixed-use, residential, commercial and education projects, many of which will be showcased in Dubai during Cityscape Global. The partnership also enables Buchan and Nikken to maximise new business prospects and to leverage each other’s design expertise and experience, which is particularly relevant for the region, where their combined mixed-use development capabilities will come to the fore. “Working closely with Nikken, we can offer our clients comprehensive global insight, gained from our joint, wide-ranging experience. We will also be able to succinctly communicate any pertinent commercial and brand expectations to developers or their preferred local consultants,” said Buchan CEO, David Martin. Some of the regional organisations Buchan works with include Al Futtaim, Burooj Properties, Nakheel, Eagle Hills, Mirage Leisure, Majid Al Futtaim and Al Rashed Group. Kamei, added that his practice was drawn to Buchan initially because of its successful track record in retail, hotel and residential architecture, important elements in many developments in the Middle East. “Both Nikken Sekkei and Buchan are working in a market that is increasingly competitive. We will be able to pool our project experience to maximise new business opportunities particularly throughout Middle East and India, by providing designs that are both creative and feasible,” said Dr. Fadi Jabri, Regional Director & Executive Officer, Nikken Sekkei. Besides showcasing the design for the New Camp Nou, FC Barcelona’s iconic football stadium, which will be expanded and renovated at a cost of Euros 380 million, at this year’s Cityscape Global in Dubai, Nikken Sekkei will also be presenting a number of diverse projects. In terms of Dubai-based projects, Nikken Sekkei’s growing portfolio includes the iconic, mixed-use development – One Za’abeel with its twin towers reaching more than 300 metres high situated adjacent to the Dubai World Trade Centre. This unique complex will include a residential tower with 450 apartments, a five-star hotel tower with 370 rooms and a commercial tower offering 500,000 square feet of office space. Another key project is the Forte Towers, which comprises of twin towers, one of 70 storeys, the other 50 storeys, which is destined to become the second highest residential tower in Dubai after the Burj Khalifa. Each tower will have one, two and three-bedroom units, ranging from 650 to 1800 square feet in size and will be situated in the Downtown Opera District. Other ongoing regional projects include a landmark tower for the Tadawul HQ (Saudi Stock Exchange) in Riyadh; HQ building for Masraf Al Rayan in Doha; a large residential development in Jeddah, and a waterfront project in Bahrain. One of the world’s largest architectural design firms, Nikken Sekkei employs over 2,500 professional staff in eight group companies offering comprehensive design, engineering, management, consulting and R&D services. The company’s portfolio consists of over 25,000 projects in 200 cities, in 50 countries. These projects cover a broad range of services including master plans and mixed – use developments, transportation (airports and railway stations), offices, R&D, education and culture, production and logistics, healthcare and welfare, commerce, hotels, and residential complexes. The Buchan Group has a global reach with offices in the United Kingdom, China, the Middle East, Australia and New Zealand. The firm is recognised for its design excellence and depth of experience in retail, residential, hotels, mixed use, leisure and commercial developments. The firm’s projects include: Wuhan 1818 (Wuhan, China), Sheraton Melbourne (Australia), Emporium Melbourne (Australia), Cloisters on Hay (Perth, Australia), Westfield London and Westfield Stratford City (United Kingdom), Chadstone Shopping Centre (Melbourne, Australia), DiverCity Tokyo Plaza (Japan), The Emerald (Melbourne, Australia) and Raffles City Chengdu (Chengdu, China).